Established in the fall of 2014, the Office of Undergraduate Research (OUR) serves to inform, engage, connect, and support currently enrolled undergraduates on matters related to research at Princeton; to enhance independent work through campus-wide initiatives and departmental collaborations; and to promote students' research achievements through research symposia and written and video communications. OUR adopts the definition of research as "creative work undertaken on a systematic basis in order to increase the stock of knowledge, including knowledge of man, culture, and society, and the use of this stock of knowledge to devise new applications." It includes investigations across all four divisions. To contact the Office of Undergraduate Research, please send your email enquiries to undergraduate.research@princeton.edu. As Director of Undergraduate Research, Pascale Poussart leads a variety of campus-wide efforts and initiatives designed to enhance the quality and visibility of the undergraduate research experience as an integral component of a Princeton education. Ongoing projects include: working with departments to articulate the goals and expectations for undergraduate independent work and assess student learning; to develop, promote and implement practices designed to enhance the educational value of independent work such as the Independent Work Mentors Program; to expand the range of faculty-mentored research opportunities for undergraduates; to identify and publicize funding available to support undergraduate research and participation in academic conferences; to manage the approval process for undergraduate internships and educational programs; to develop workshops and other resources for undergraduate students around research methods, protocols and issues related to research integrity and ethics. When classes are in session, the Director of Undergraduate Research holds weekly office hours for Princeton undergraduate students interested in research. To schedule an appointment with Dr. Pascale Poussart, please use the WASE platform. As the Program Coordinator of the Office of Undergraduate Research, Crystal coordinates campus-wide undergraduate research funding opportunities including the Office of Undergraduate Research Senior Thesis Research Funding program (OUR STRF), the Undergraduate Fund for Academic Conferences (UFAC), the ReMatch Program and the Office of Undergraduate Research Student Initiated Internship Program (OURSIP). Crystal serves as a Student Activities Funding Engine (SAFE) Manager, working closely with academic departments and undergraduate students, and acting as the primary liaison to the SAFE core team on matters pertaining to senior thesis research funding. In addition, Crystal provides administrative support to the office and assists in the development, implementation, and management of programs, initiatives, and special projects. Throughout the academic year, the Program Coordinator holds weekly office hours for Princeton undergraduate students with questions regarding the OUR senior thesis funding process and other undergraduate research funding opportunities. To schedule an appointment with Crystal Arrington, please use the WASE platform. As the Office of Undergraduate Research Administrative Assistant, Maria Siddiqui supports the administration of research funding opportunities for Princeton undergraduates including the Undergraduate Fund for Academic Conferences (UFAC) program and the Office of Undergraduate Research Student Initiated Internship Program (OURSIP). Maria also assists the Program Coordinator in the administration of the OUR Senior Thesis Research Funding (OUR-STRF) program. 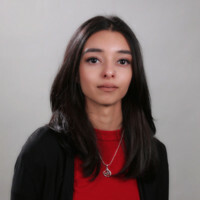 As the Summer Registration Project Coordinator, Maria coordinates the registration of on-campus summer undergraduate interns and independent work researchers, acts as the liaison between project stakeholders, fields questions from departments, and offers assistance in the data collection process.